This will make an excellent bathroom mirror for a lovely rustic feel. A great look for any room with a natural wood finish that shows the knots in the wood. Wall mount in the living room, bathroom or hallway for a country feel. The rustic frame adds a rustic, country lodge feel that you can't help but love. In a rectangle shape with a sturdy wooden frame. 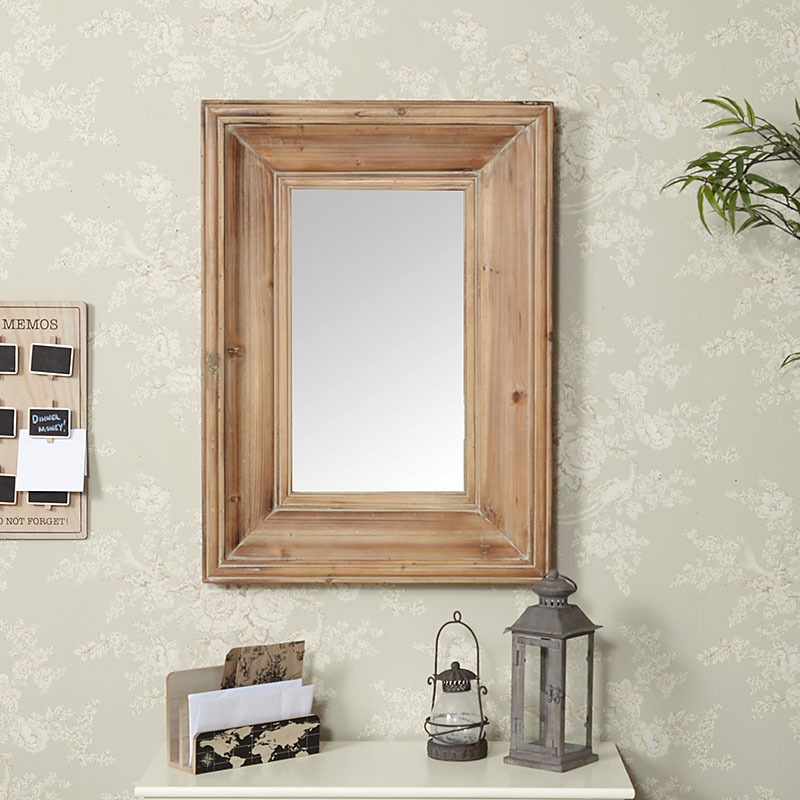 This will make an excellent bathroom mirror for a lovely rustic feel. A great look for any room with a natural wood finish that shows the knots in the wood. Wall mount in the living room, bathroom or hallway for a country feel. The rustic frame adds a rustic, country lodge feel that you can't help but love. In a rectangle shape with a sturdy wooden frame. 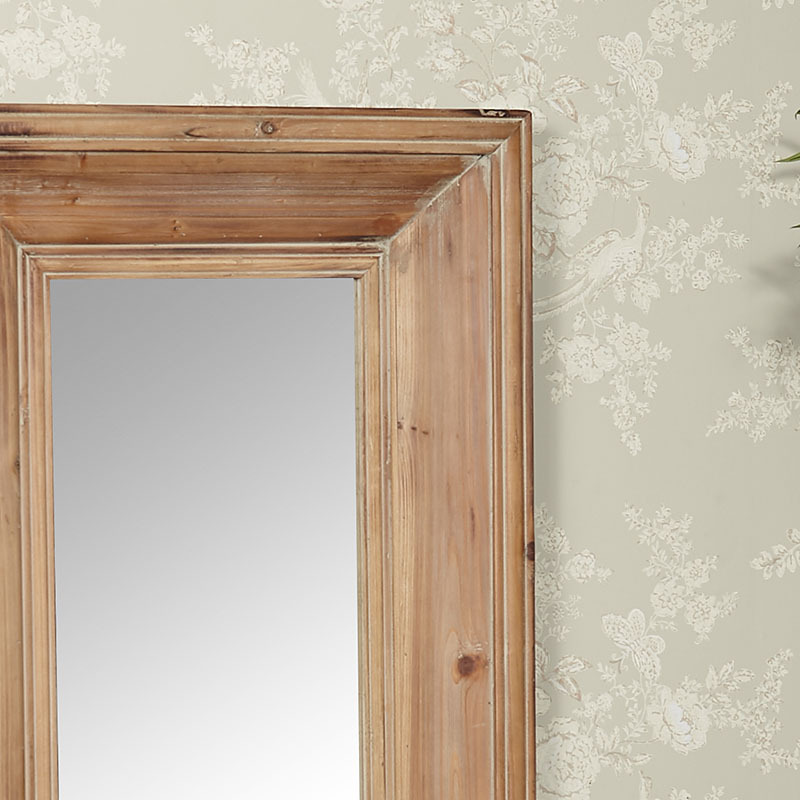 Constructed with a wooden frame in a natural rustic finish. Easily wall mounted with hooks on the back. 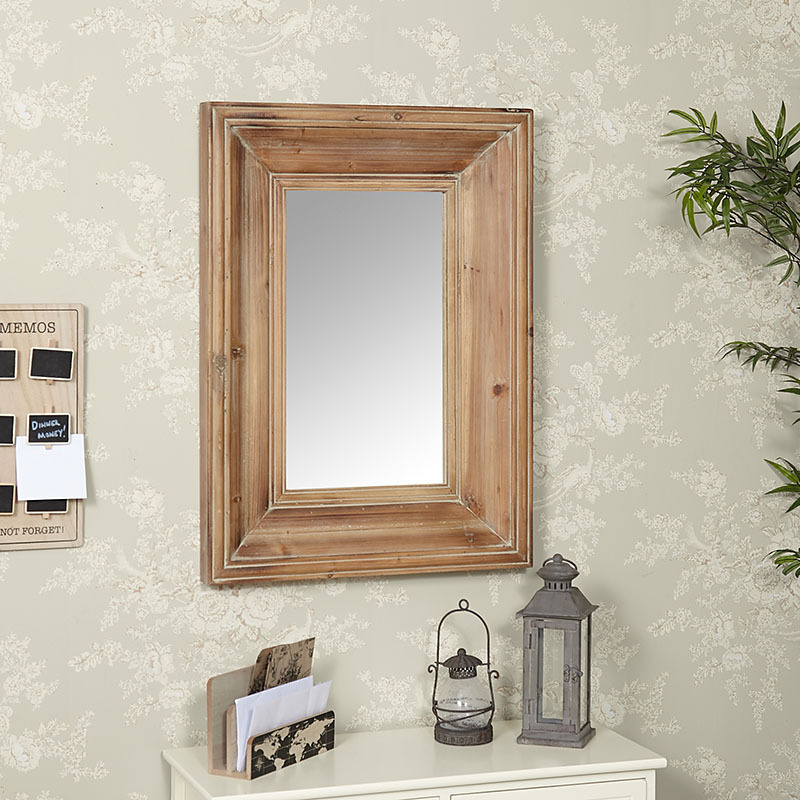 A great addition to our ever growing range of wall mirrors. From the rustic country cottage, to the more ornate French style with so many more designs and finishes to choose from.